Since Saturday was the Memorial of the Presentation of the Blessed Virgin Mary, I found it fitting to focus today’s “Mondays with Mary” on the words of St. John Eudes. 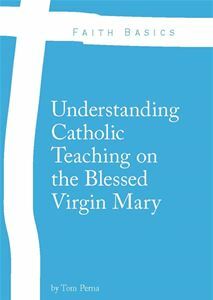 In his book, The Wondrous Childhood of the Most Holy Mother of God, the 18th century saint meditates upon the childhood of the Blessed Mother examining different aspects of her life. For today’s post, we will read the exact words of the saint as he writes on reasons why we should honor and imitate the Blessed Virgin Mary in Her childhood. “Consider that we are obliged to honor the sacred Virgin in her childhood; firstly, because the twelve years of this sacred period contain in themselves almost an infinitude of greatness and holiness, which merits the highest honor, and will be for eternity the object of the praises of the inhabitants of heaven. Count the mysteries, the virtues, the thoughts, affections, words, actions and mortifications of this holy Child; reflect upon the holy use she made of the powers of her soul, and of her interior and exterior senses. You will find herein sufficient reasons for entertaining a singular devotion to her. For all that passed in the interior or exterior of this blessed Child was full of perfection and sanctity, and worthy of particular veneration. Secondly, we should revere this admirable Child, because her infancy was a continual exercise of adoration, praise and love towards God. Since she was full of grace, she gave more glory to God by the smallest action than the first among the Saints by the practice of the most heroic virtues. “Among other considerations, we must remark that we are indebted to the holy childhood of Mary for three great favors. Let us observe here that the Son of God when about to be born into the world could have created a virgin of perfect age and become incarnate in her. But His infinite goodness towards us obliged Him to choose for His Mother a daughter of Adam, thus to honor all the human race with three signal favors. First, by this birth of the Infant Mary divine Bounty gave us two treasure of sanctity, St. Joachim and St. Ann, whom, otherwise we should not have had in their quality of father and mother of Jesus and Mary, and of their children. The second favor is that by the birth of this holy Infant God bestowed upon the race of Adam another inestimable gift, an immense treasure of good, the holy and precious Mother of God, born or Adam’s race, our sister and our Mother. The third favor consists in the treasure she has given us, the God-man, our Brother. “Consider that the Son of God wished His worthy Mother to pass through the state of infancy that she might given an example and rule of life which all Christians might follow. For all are obliged by the laws of the Gospel to be children in innocence, in simplicity, in humility, in obedience, and in all virtues. “Amen I say unto you, unless you be converted and become as little children, you shall not enter into the kingdom of heaven. As we begin this week, let us ask for the grace and fortitude to follow the example of the Blessed Virgin Mary by honoring and imitating her in our daily lives. Let us also pray this week for those people in our lives who don’t understand Mary’s role in Salvation History and don’t respect her live when it comes to the life of Jesus Christ and ours. We can be certain that Mary, as a child, did not expect to be the Mother of the promised Messiah. Therefore she was certain to have prayed for the future Husband that God had in mind for her, that he would be holy and that he would pray for her. She then also prayed for all other husbands and wives, in all the circumstances she saw them struggling. She prayed that husbands would strive to be holy and only seek to do God’s Divine will. Because God said, “I will put enmity between her and the devil” and therefore God is eternally saying that at every point of space and time, she was always in perfect union with God, and therefore her prayer was always resolutely united to the prayer/will of God. After the Annunciation, Mary knew she was the Virgin promised by Isaiah and also the woman of Genesis 3:15, she believed Her Son was the Son of God, of the same infinite nature as God the Father and that He would be the infinite embodiment of the Fourth Commandment and honor her and St. Joseph perfectly as His parents, He would pray through them, especially St. Joseph as the head of the Family. Mary prayed to Her Son and resolutely united her prayers to His prayer just as He united His prayer to her prayers. She prayed only that God’s Will be done for her and Joseph and everyone. When we resolutely unite our prayer with the prayer of Jesus (CCC 2741) adding nothing of our own to His infinite, perfect prayer for everyone at every point of space and time, just asking Him to pray His prayer in us, for us, through us, for everyone in space and time; when we do this perfectly, we also are united to each and every prayer that Mary and Joseph said, with Jesus, in those thirty years because they resolutely united their prayers with the prayer of Jesus. When we ask Mary to pray for us, we can ask her to “repeat” all her prayers for those thirty three years. If we can do this, should we do so, or should we say we do not need Mary’s prayers.